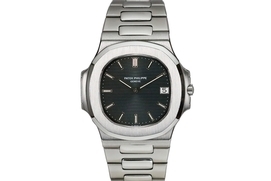 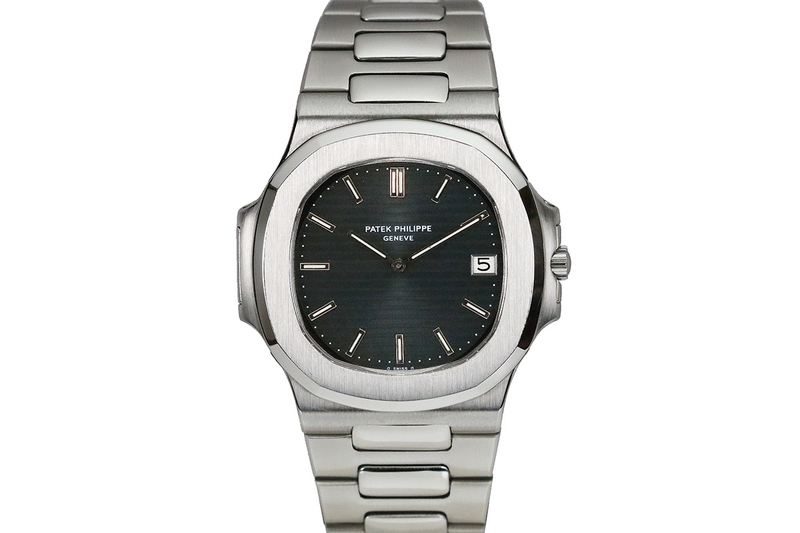 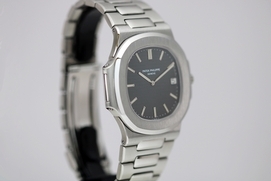 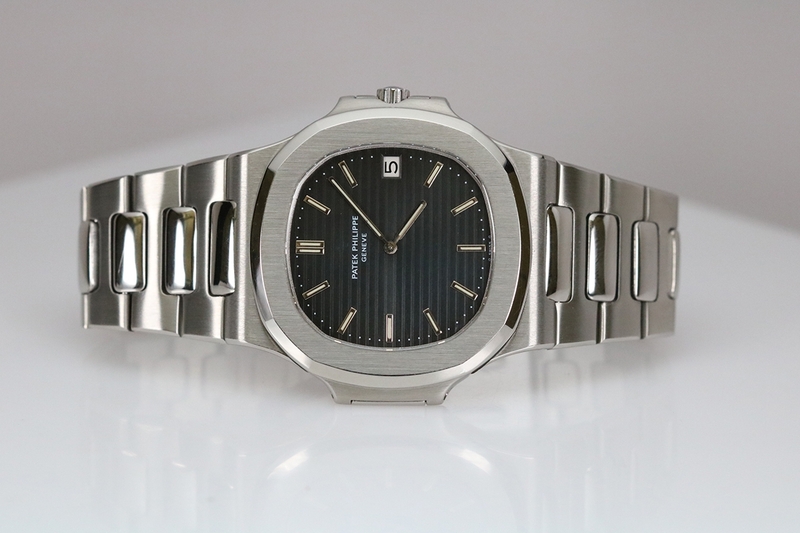 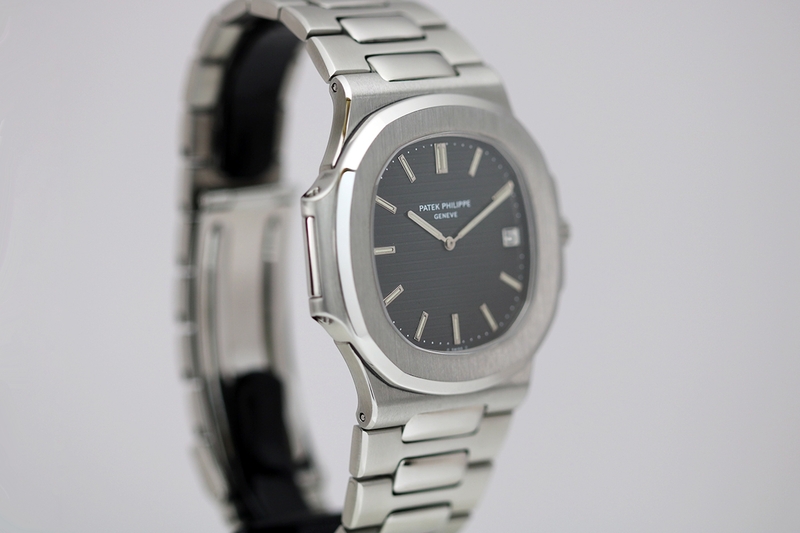 This is a mint condition Patek Philippe Jumbo Nautilus. 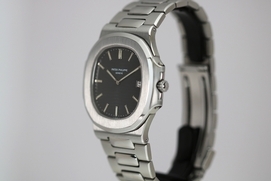 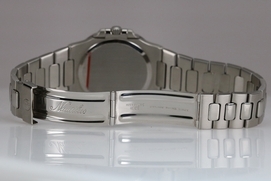 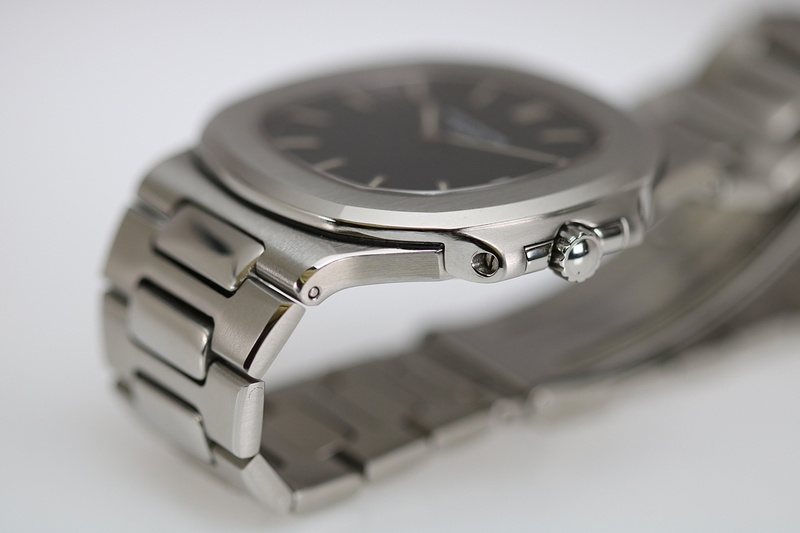 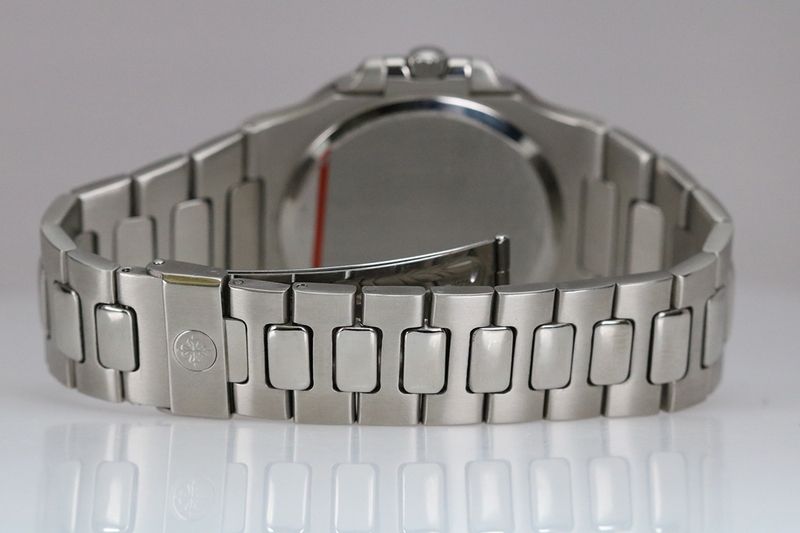 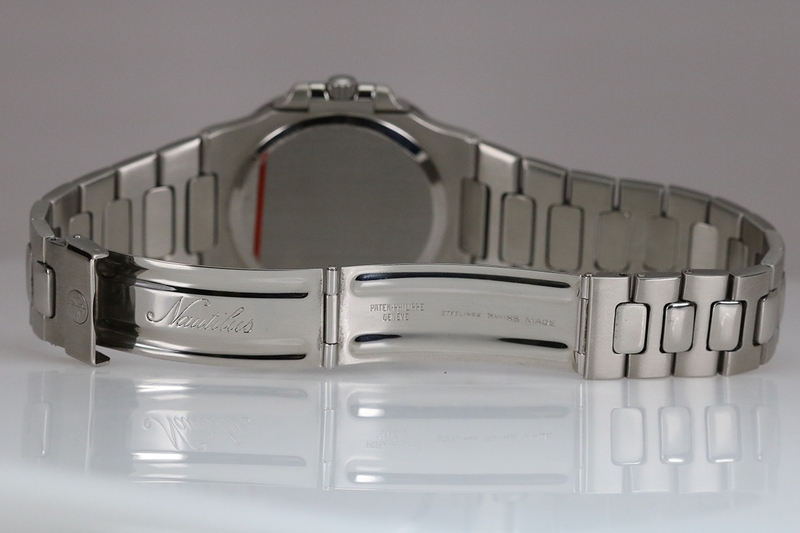 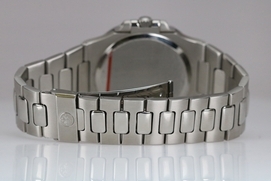 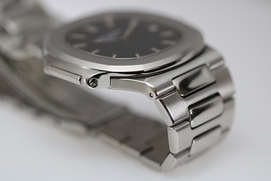 The slim yet “jumbo” case was designed by the famous watch designer, Gerald Genta. 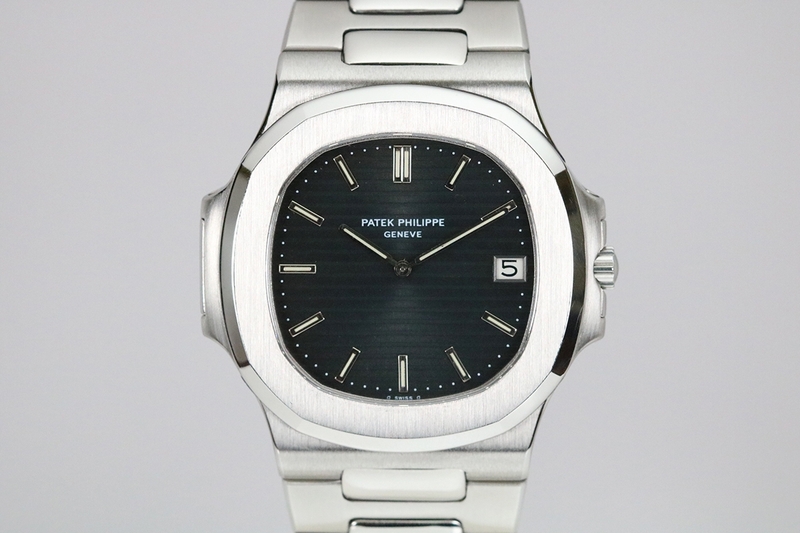 It is estimated that only 3600 examples were ever produced. 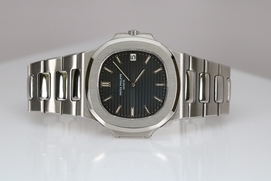 The Jumbo Nautilus, reference 3700/1, was in production from 1976 until 1987. During its production it retailed for $3,100 USD.